(Boston, MA) – BOND, the Northeast’s premier building, civil, utility and energy construction firm announces the hiring of industry leaders Dennis Keough, P.E., Vice President of Power Generation and Tim Peer, P.E., Vice President of District Energy. 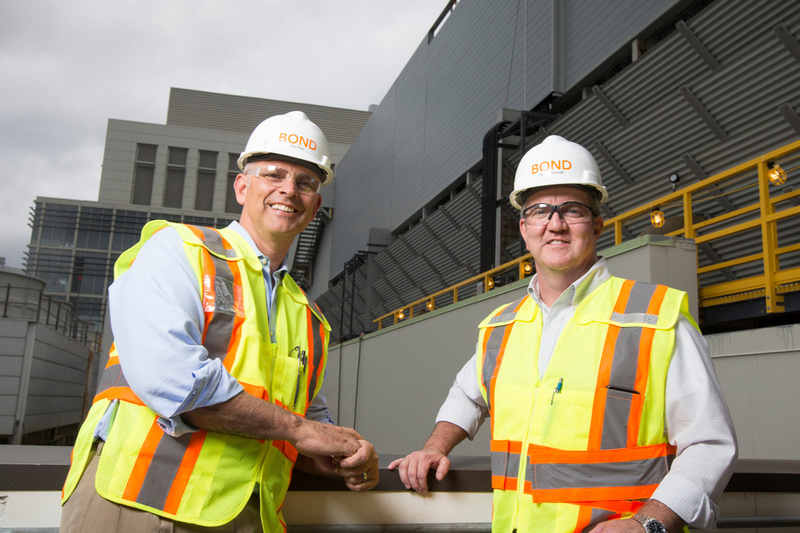 Dennis and Tim bring more than 50 years of experience, leadership and expertise to BOND’s Power Generation and District Energy markets, respectively. In their new roles, they will spearhead BOND’s strategic plan in developing integrated solutions to align BOND’s exceptional services and capabilities with clients’ needs. They will also play an important role in business development as BOND expands capabilities across their Northeast footprint. This initiative keeps BOND at the forefront of industry trends and innovations and strengthens the company for continued growth in the energy market. Prior to joining BOND and as a Principal, Senior Engineering Consultant, Dennis worked with clients to develop project scope, schedule, and budgets. In addition, he supported proposal development, capital cost estimates, equipment sizing and selection, directed project execution, monitored project costs and ensured compliance with corporate work processes. He worked as an Account Manager for a large OEM client and served in a senior leadership role on a successful $1.1B EPC contract across a three station fleet, concurrently. Dennis holds a Master of Science in Civil/Structural Engineering and a Bachelor of Science in Civil Engineering from the University of Massachusetts Lowell. Tim is a licensed professional engineer with more than 25 years of experience in maintenance, operations, engineering, planning and project management in support of thermal energy, power and fuel delivery systems. Prior to joining BOND, Tim served as an Associate Vice President and District Energy Submarket Leader at a highly-regarded consulting engineering company. Tim also worked for over 22 years at a major Upstate New York university holding multiple positions in operations, engineering and management in support of its world-class district heating and cooling systems. This included the position of Energy Plant Manager where he was responsible for the power, steam and chilled water facilities with an approximately $50M annual operating budget. Tim graduated from Cornell University, with a Bachelor of Science degree in Agricultural & Biological Engineering.